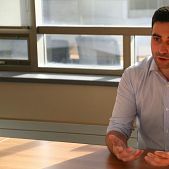 Peter Fragiskatos is combining his passion for politics with his drive to serve his community as a new Member of Parliament for London North Centre in Canada. 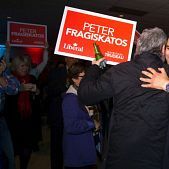 Fragiskatos caught the political bug from his grandmother Panagiota, who looked after him and two siblings when his parents worked long hours in restaurants in London and Exeter. 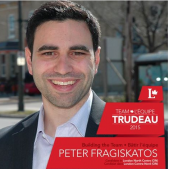 Fragiskatos’ family is of Greek descent as his grandmother Panagiota emigrated from Greece following World War II and later became an organizer for the New Democratic Party’s leaders Tommy Douglas and Ontario NDP leader Stephen Lewis. Fragiskatos later attributed his interest in politics and social justice to her. “My father grew up in poverty. It was the reason his family came to Canada in the first place. . . . I’ve seen pictures of my father (as a child) without shoes. My grandmother had a real impact on me. 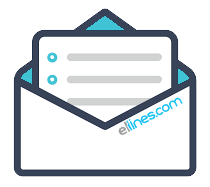 She was a union organizer, a strong believer in social justice,” he said. 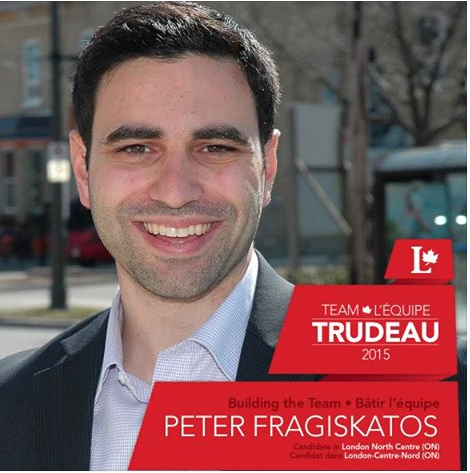 Fragiskatos, in the 2015 federal election, has won the conservative Susan Truppe for the North Centre district in the city of London in the province of Ontario, Canada. 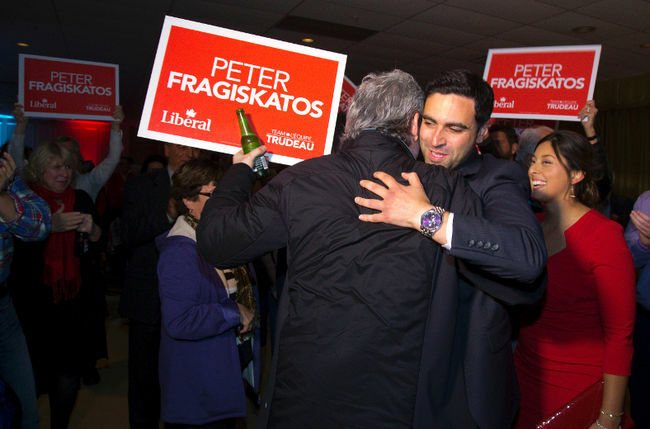 He easily won the riding, carrying 50,5% of the vote while his rival finished second with 31,1%. “This is energizing, I’m not tired at all. It has been a very long campaign but we’ve also seen a campaign where issues were discussed in a serious way, throughout the country, not just in this city. 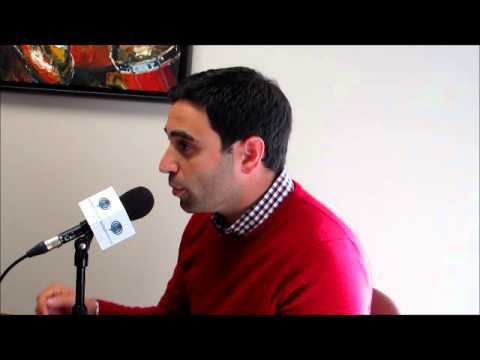 For me, we need to move forward as a city and as a country and I’m ready to do that,” Fragiskatos said. 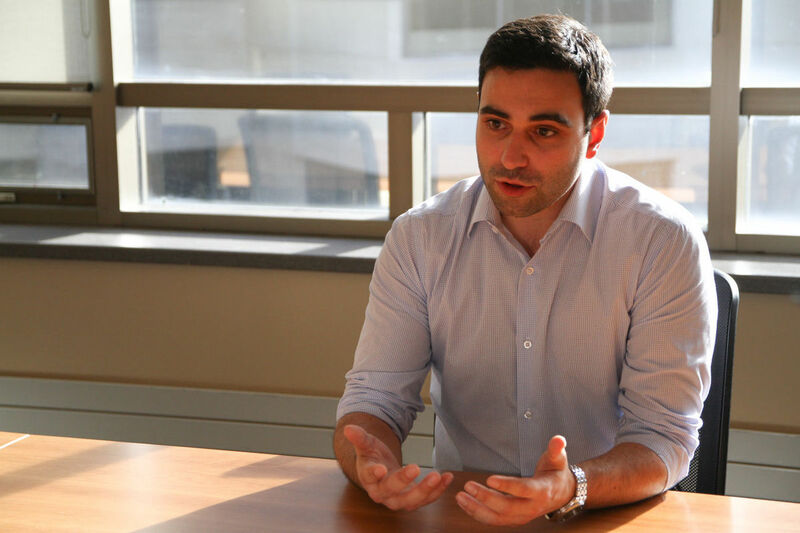 One of his goal as a member of parliament will be to have a closer working relationship with London City Council. He mentioned that it is very important to move forward and to sit down with key stakeholders, city councilors and the mayor in order to find a way to work in concert, as partners. 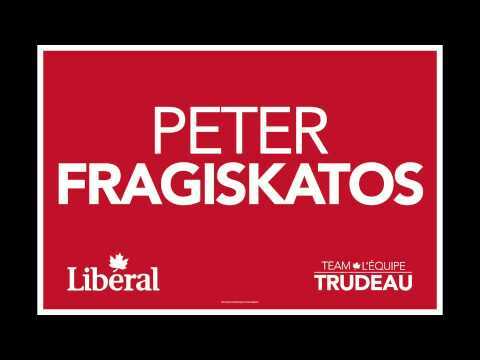 Previous to the MP position, Fragiskatos was a media commentator and his works has been published by major Canadian and international news organizations including Maclean’s Magazine, The Globe and Mail, The Toronto Star, BBC News, and CNN. 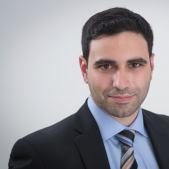 Prior to this, he was a political science professor at Huron University College and King’s University College. 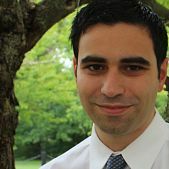 Fragiskatos studied Political Science at the University of Western Ontario, has a Master degree in International Relations from Queen’s University and hold his Ph.D. in International Relations from the Cambridge University. 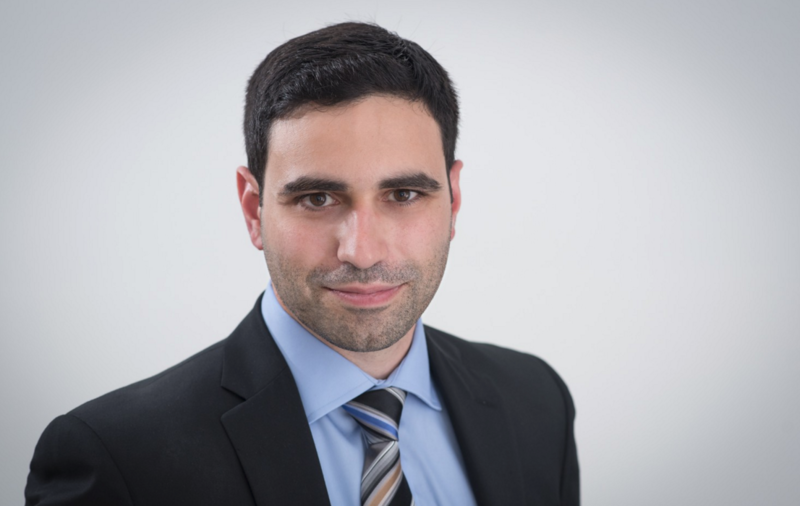 Peter Fragiskatos is very active in London’s Greek community as he runs a youth mentorship program and has acted as master of ceremonies for the Greek summer festival, which he helped organize. He is also a volunteer with many local non-profit groups including the London Food Bank and the Cross Cultural Learner Centre and Literacy.